In terms of both treatment and the emotional perspective of patients, metastatic breast cancer is different from other stages of the disease. Ami Blachowiak, the owner of a pet care business in Los Angeles, dutifully scheduled a mammogram when she turned 40. The results stunned her: Breast cancer had already spread to her liver, spine and lymph nodes. Her medical team started her on a tough, six-month course of what they called “cannonball chemo:” docetaxel, doxorubicin and cyclophosphamide, all drugs notorious for unpleasant side effects. Then followed 25 rounds of radiation to her spine. But after all that, a three-month scan showed her cancer was still growing. Luckily, Blachowiak then qualified for a clinical trial of an investigational drug, Avelumab, that enlisted her own immune system to fight her cancer. In June 2014, she started every-other-week infusions of the drug. She did so well after 22 weeks on the drug that her team decided to keep giving it to her until it stops working. 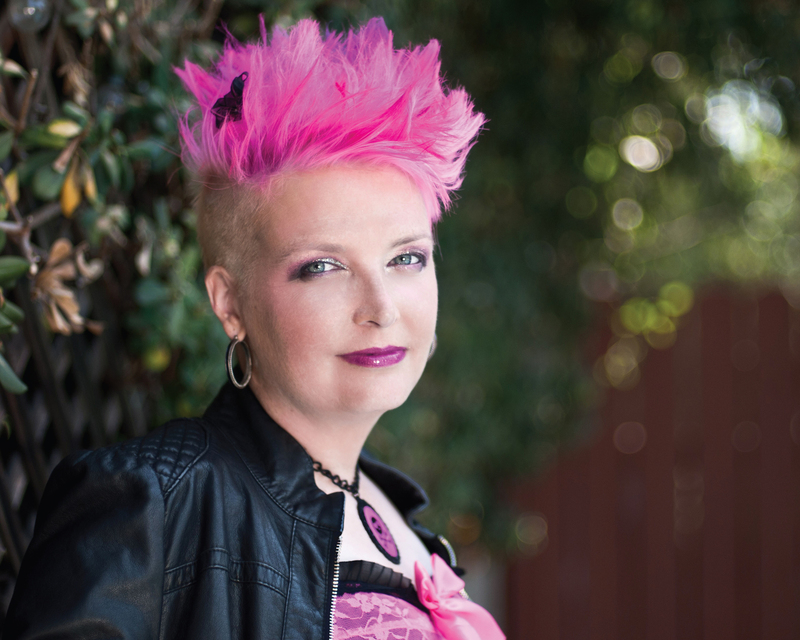 Now 43, she’s been on the treatment longer than anyone else at her hospital, Cedars-Sinai Medical Center, in Los Angeles, Calif.
Blachowiak’s story illustrates how much the landscape for people with metastatic breast cancer has evolved. There are now more experimental options than ever: New treatments that target the immune system, like the one Blachowiak takes, enlist a patient’s immune cells to fight the cancer, and could be a game-changer for “triple-negative” breast cancer, one of the hardest to treat. For various breast cancer subtypes, there are also studies testing chemically bonded drug combinations that deliver chemotherapy to cancer cells and only cancer cells, drugs that make hormone therapies work better, and others that inhibit vascular growth in tumor cells. In clinical trials, researchers are hopeful that experimental drugs that target various cell mechanisms and signaling pathways will throw a wrench into how cancer cells divide, or interrupt the blood supply to tumor cells, while mostly sparing normal cells and tissue. Some of these have shown great promise in other cancers; the hope is that they will work for metastatic breast cancers, too. And yet, the outlook for metastatic breast cancer patients remains deadly: While the median survival after a metastatic diagnosis is now three years, up from 18 months in 1970, deaths from metastatic breast cancer have remained stubbornly level for decades, even though a few patients can live for many years, even decades. There’s been a slight decrease in cancer deaths since 1990, but metastatic breast cancer still kills: Approximately 40,000 Americans succumb to it each year. In treatment for life, those with metastatic breast cancer often feel ignored by the get-happy tone of some awareness and prevention efforts. The wrenching stories of people dying from metastatic breast cancer can be disturbing, upsetting and downright scary. They don’t always integrate well into awareness marches. Harold Burstein, an associate professor of medicine at Harvard University and a breast cancer specialist, says he understands the frustration of many with advanced breast cancer. Approximately 6 to 10 percent of breast cancer patients are first diagnosed in the metastatic stage, and a few more are diagnosed as “inoperable stage 3” because the cancer has invaded the lymph nodes above the collarbone, making it difficult to remove completely. The remaining 90 percent or so of breast cancers are diagnosed at earlier stages, but approximately 20 to 30 percent of those patients will have a recurrence that is metastatic, meaning that the cancer appears some place other than the breast. It’s difficult to know the exact number, because statistics are tracked by the stage at which diagnosis occurred. Metastatic breast cancer is often described as a “disease of aging,” as the risk of developing the disease at age 60 is eight times the risk at age 30. Yet breast cancer is the leading cause of cancer death for women under age 50. While advanced breast cancer is far from curable, more options for treating it exist than ever before. Of course, every patient is different, but treatment for metastatic breast cancer largely differs from early-stage strategies. Surgery and radiation aren’t the “go-to” treatments they tend to be in early-stage cases. Doctors generally hold those things in reserve, to be used to treat certain areas if cancer growth causes discomfort or other risks. And while aggressive treatment may be in order for some patients, doctors also try to focus on quality of life. If side effects from one treatment become intolerable, the medical team will often try to find an alternative, as long as there is one available to which the patient hasn’t developed a resistance. Since, in metastatic disease, cancer cells have already broken off from the original tumor, entered the bloodstream and set up shop somewhere else, treatments for advanced breast cancer tend to start off “systemic.” That means treating the whole body with drugs that target hormone receptors, or monoclonal antibodies that attack cells producing too much of certain proteins, or chemotherapy regimens. The first line of treatment is often hormone therapy, for those whose tumors have receptors that react to the hormones estrogen or progesterone. Pre-menopausal patients usually take drugs to suppress the estrogen production in their ovaries (such as Zoladex [goserelin]), and others (such as tamoxifen) that attach to the estrogen receptors on tumor cells and block them from getting the hormones they need to grow. After menopause, women may take aromatase inhibitors (such as exemestane) that block cells from producing estrogen. However, if cancer has already recurred using these drugs, they may not be an option. Recently, two drugs have been approved that seem to make hormone therapies work better than if given alone. Ibrance (palbociclib), usually given as first-line therapy with the aromatase inhibitor letrozole, targets CDK4/6 receptors that, if blocked, keep tumor cells from multiplying. Afinitor (everolimus), typically given with exemestane, targets mTOR, a protein that promotes cell division and, if blocked, also keeps tumor cells from dividing. “Palbociclib, if added to an aromatase inhibitor like letrozole, can significantly enhance progression-free survival, doubling it from 10 months to 20 months,” Gradishar explains. 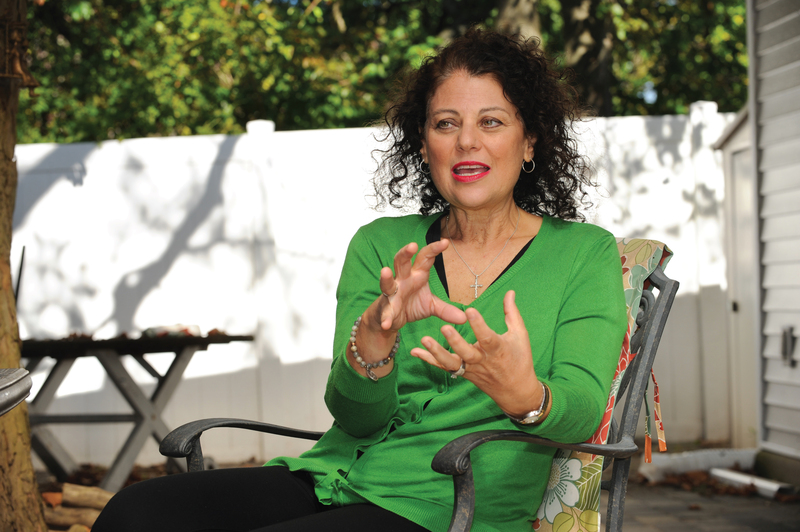 MaryAnne DiCanto, 58, was first diagnosed with stage 2b invasive lobular carcinoma in 2003. She went through bilateral mastectomy, chemotherapy , radiation and then tamoxifen for four years. In 2013, she found out that the cancer had returned to her chest wall, ribs and lymph nodes. Every three months, after scans, she learned that the cancer was progressing. Then, in the spring of 2014, she heard about Ibrance. “I turned to my husband and 26-year-old daughter and said, ‘I need this drug,’” DiCanto remembers. She fought for 11 months to get the drug, meanwhile also trying radiation spheres injected through her femoral artery to target cancer that had spread to her liver. Typically, this treatment is given to the segment of the liver most affected by the cancer, leaving the rest of the organ untreated to minimize injury. In addition to hormone status, it’s important to determine HER2 status. Some 25 percent of breast cancers overproduce a protein called HER2. These cancers used to be hard to treat, but in 1998, a monoclonal antibody called Herceptin (trastuzumab) was approved. It targets HER2 receptors and keeps cells from dividing. Since then, several drugs in the same class have been approved, and Herceptin has been approved in many different clinical situations. A second antibody, Perjeta (pertuzumab), was approved in 2012, which significantly improves survival when added to Herceptin and the chemotherapy docetaxel. A newer drug, Kadcycla (ado-trastuzumab emtansine), was approved in 2013 for latestage breast cancers. It links a chemo agent, DM1, to Herceptin, thus targeting the chemotherapy specifically to tumor cells that are churning out too much HER2 protein, while causing many fewer side effects than standard chemotherapy. “It’s among the most exciting things that are happening,” Burstein says. While hormone and HER2-targeted treatments have given both early- and late-stage patients more options, the tough cases have been those that are “triple-negative.” These breast cancers don’t have receptors for estrogen, progesterone or HER2. That has left chemotherapy, with all its undesirable side effects, as the only option for earlyand late-stage triple-negative patients. This may be beginning to change. Several clinical trials are now running that use immunotherapy to fight triple-negative cancers, like the Avelumab that helped Blachowiak. “Some people have T cells (the cells responsible for the body’s immune response) in their tumors. They can be shut down by negative pathways in tumors. Sometimes a T cell has (the protein) PD-1 on its surface, and the tumor may have (the protein) PD-L1 on its surface. They can interact, when they come together, conceptually like putting a key into a lock, turning the T cell off,” explains Leisha Ann Emens, of the tumor immunology research program at Johns Hopkins in Baltimore, Md. “We use an antibody to prevent the key from getting into the lock, and keep the T cell on, fighting the cancer. Drugs that target PD-1/PD-L1 are in various phase 2 and 3 trials, and experts remain hopeful. If you’re a patient with metastatic breast cancer, the time to ask about clinical trials is early, experts say. Don’t assume that trials only come into play when all other options have been exhausted. Many trials have specific limits on how many other treatments you may have had before, so ask your doctor if it might make sense to find out whether you fit the parameters for a study. At the very least, you will be getting standard-of-care treatment, and at most, you may be one of the first to benefit from a new treatment. Other research teams are also testing experimental drug targets in advanced cancer. PARP inhibitors, drugs that seek to upset certain cell checkpoints — or mechanisms that oversee cell division — seemed, a few years ago, as if they might be a magic bullet. Alas, they hit some setbacks in various studies, but are now being reexamined, specifically in breast cancers associated with BRCA mutations. Other studies are hoping to enlist tyrosine kinase inhibitors, which block chemical messengers that send growth signals to cancer cells. Results from various studies of these agents have been mixed, but experts say they may yet prove useful, except in HER2-positive breast cancers. And many teams are working to identify genetic mutations that may be key in understanding and treating advanced cancers.